Blogger blogs are having an SEO issue with the post page tittle, which can diminish SERPs and PageRank . 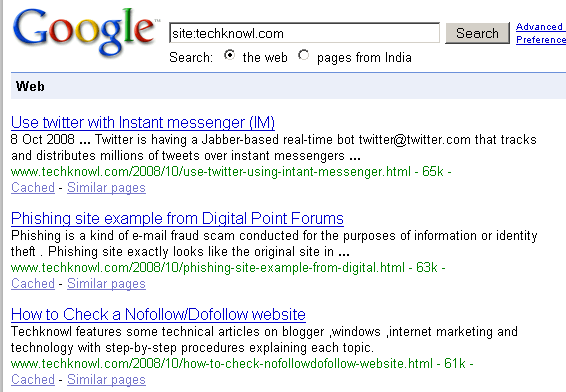 Have a look at the following example from Google results for a particular blog . Funny thing is that its a blog about Search engine optimization. In the results for each pages, post page tittles are shown only after the blog headings which separates them with a ” :” sign ( hope the point is clear ) . To get in top results for a particular post , you need to remove the repetitive blog heading from post tittle . See the results that i am getting for my blog which uses a blogger custom domain . As each post is having its own title , chances are there for the results to be in top pages.Now we can do this by performing a simple edit on blogger template . Open edit HTML section . Now press Ctrl+F and search for <title><data:blog.pagetitle/></title> . Replace that code with the code in the following box and save your template. Well it does not mean that this trick will improve blogger PageRank to a great level . It depends on quality of your backlinks, content and many other factors . Awesome tips on your Blog. Thanks and keep them coming. Best Wishes! Thank you very much! I thought the code was not working but when I restart my browser it finally worked. It helped me a lot. 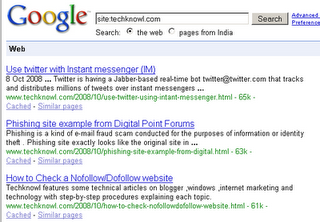 Great tip for better SEO ranking on blogger powered websites that use the pages function, I like it very much. Thanks buddy.A very helpfull post of urs..
Just looking for ways to improve my page rank for my blog. Thanks for the helpful tips. only the new post after the edit is working. how about the articles that has been crawled? will it change? thanks for a wonderful tip.